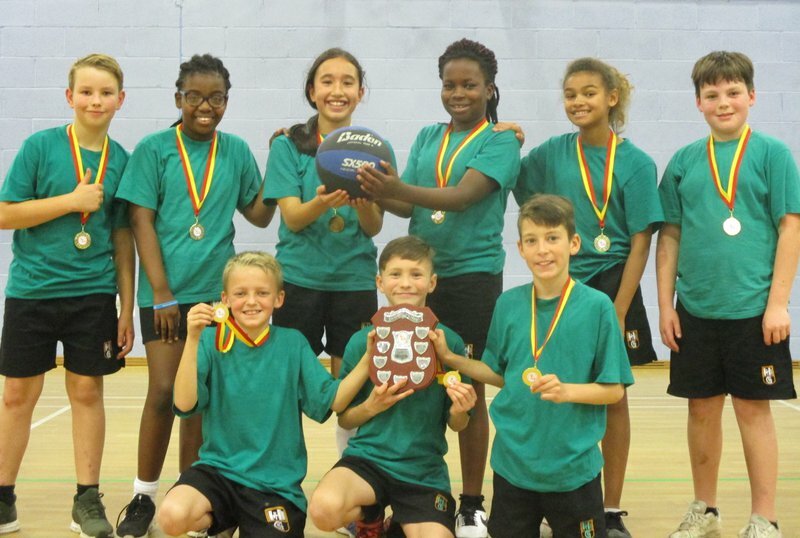 Congratulations to the Team Garlinge Basketball team who were unbeaten at this year’s Thanet Finals. They went into the competition with an amazing attitude ,taking each game as it came. With the top 8 teams in Thanet competing, it was going to be a close competition but, with the values at the heart of every game, we played some fantastic basketball. From coming from 1-0 down to draw with Upton, to beating St Josephs who had beaten us in the previous competition, it was a stunning all round performance. Team Garlinge will now go on to represent all Thanet Schools at this year’s Kent School Games finals. Well done to everyone who took part and for showing real team spirit and great aspiration. The Y5 dance crew were representing the school at the Thanet Dance competition and they absolutely smashed it! All their hard work paid off as they wowed the audience with their robot inspired street dance and earned themselves a fantastic 2nd place . The netball team had a chance to compete this term in the Passport Cup. The played exceptionally well in the pouring rain and were rewarded with a bronze medal. Well done. This term our year 3/4 boys took part in a series of friendly football matches at Margate FC. The boys played four matches, winning each of the games convincingly and also demonstrating the school values and good sportsmanship. Leon took home the ‘Star Player’ award for his hardworking attitude and superb performances. A number of boys from years 5/6 continued to represent the school admirably in the Les Riggs Cup, consistently demonstrating great teamwork and togetherness. They navigated their way to the Quarter-Finals, beating Drapers Mills and Bromstone before losing narrowly 2:1 to Upton in what was a fantastic and hugely competitive performance. A huge congratulations to all the children that gave up their Saturday morning to represent Team Garlinge at this year’s Sports hall Athletics competition. Well done to the 3/4 team who finished 5th overall with the girls’ team finishing a grand 4th place. The 5/6 team performed equally as well but, thanks to an exceptional 3rd place in the girls event, the team achieved an overall 4th place. Congratulations also to Mohtady, Harvey and Callum for represent Team Garlinge in the Kent XC championships. Harvey and Callum finished in the top 50 and Mohtady finished in 9th place. It was a very tough race for all the boys, so well done for such a great effort. On Saturday 24th November, twelve lucky children from years 4, 5 and 6 were mascots for the Margate FC vs Bishop’s Stortford match. The experience provided the children with the opportunity to: play on the 4G pitches before the game; welcome both teams onto the pitch at the start of the match; play the role of ball boys and girls during the game itself and step onto the pitch at half-time for a penalty shoot-out. The children had a fabulous time and thoroughly enjoyed the experience - despite seeing the home team lose the match 4:1! We recently took part in the first ever Thanet Year 2 Dodgeball festival. We all had fun learning the new rules of this game and seeing how many children we could get out! Everyone had a fantastic time and showed all of our school values. Well done! At the start of term several Year 2 children represented Team Garlinge at the football festival held at Margate football club. Amelia got an extra medal for Star player of the match! Well done to all the children who took part. On Tuesday evening’s we have an Inclusive Sports Club where we play a variety of sports and learn new skills. During the school year we take part in competitions and festivals competing with other schools. It is a small, friendly club that is suitable for children who may find the other clubs a little daunting. Look out for more information coming next term! This term, a group of children have started the skills force programme. In this programme, children learn about the 21 qualities of behaviour and complete a range of fun activities. One activity this term was poppy making for Remembrance Day. Next term will see the return of our house competitions for the year 4 children! Look out for more details coming soon from the SSOC team. We welcomed ex professional footballer Bob Bolder to our school this term. He has putting our Y6 pupils through their paces in all weathers! They have been practicing the skills and drills needed to improve their match performance and have enjoyed getting muddy in the process! A group of Y3 pupils have had an exciting opportunity to learn the skills of rugby with the PE teachers from Chatham& Clarendon Grammar school. They have challenged themselves to learn a new game and shown exceptional skills too! Very impressive!